I have been very fortunate to be chosen with my dear friend, Joani to partake in the Western Cape auditions of “The Ultimate Braai Master” competition (ultimatebraaimaster.com). So naturally I will be braaiing a lot more! I have been braaiing since a very young age … growing up with three brothers and a father that thought that going without a braai every couple of days was an insult to ones’ culture and constitution. My dad taught me how to make a fire, how to braai the perfect chops and “wors”, meat and “braaibroodjies”. 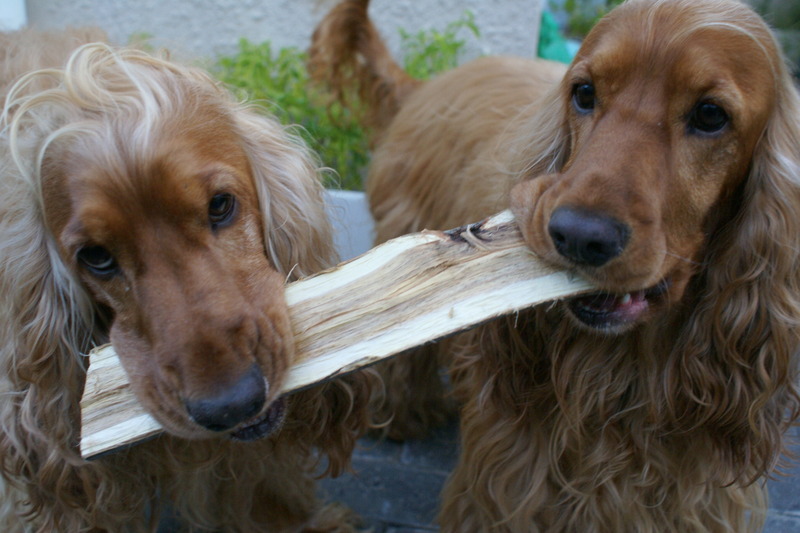 We braaied a few times a week – sunshine or rain and through the years the braai became a part of my soul. Every time I smell a braai it brings back the fondest childhood memories of my dad. Nowadays I braai every Friday night – without exception. So last Friday I decided to brush up my chicken braaiing skills. 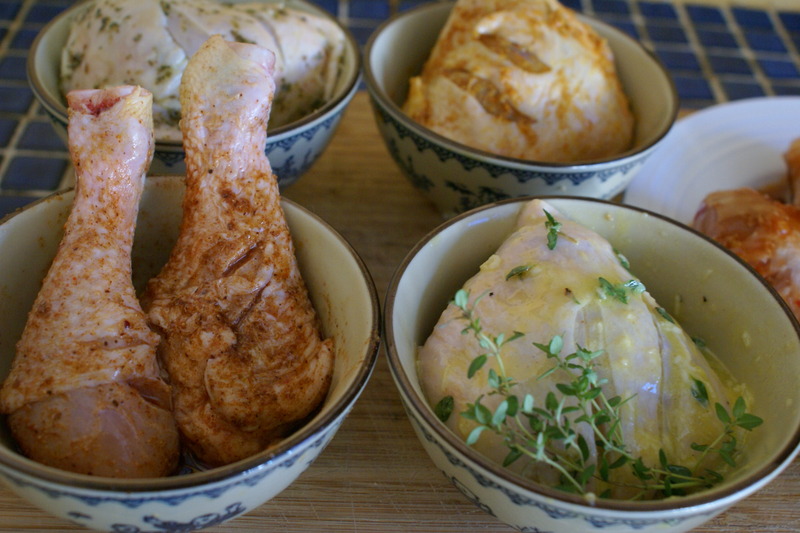 I really believe in making your own marinades – I despise the “off the shelf” marinades – I don’t like the taste and you will never find it in my kitchen. I searched for different marinades and got some amazing marinades on Alida Ryder’s blog (simply-delicious.co.za). I love reading her blog – so please do yourself a favour and make time to read some of her recipes. 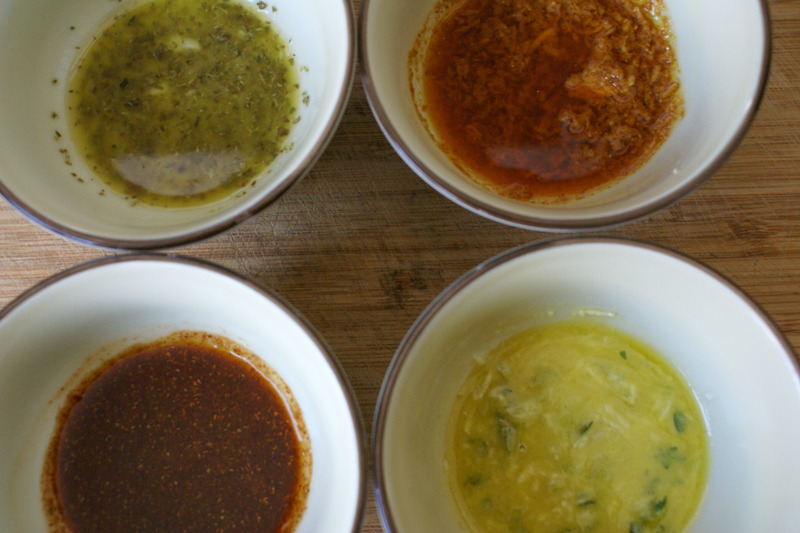 Below are four of my favourite marinade recipes from Alida’s blog – each one of them is simply delish. I did add some chillies to the Indian and Moroccan recipes. Try it – it’s so easy and very moreish! All these recipes will yield enough marinade for 1 large chicken – butterflied or cut into pieces. 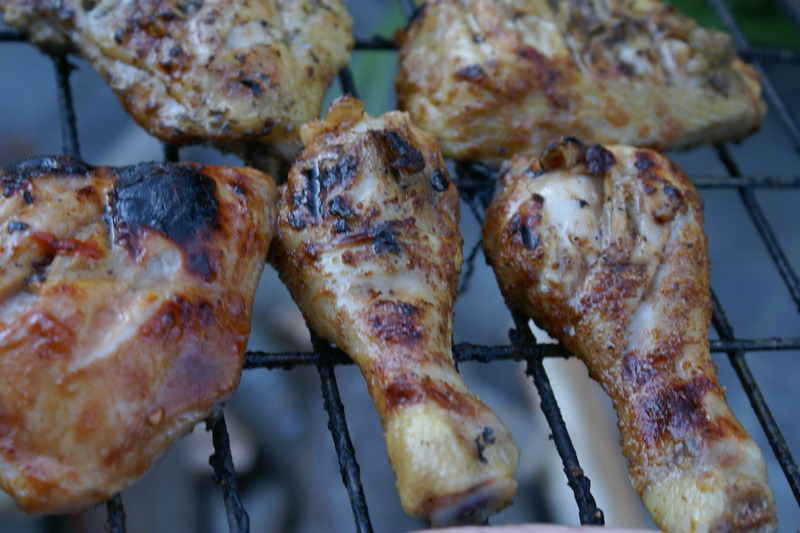 The method for all these marinades are the same, combine the ingredients, pour over the chicken and massage the little bird a bit – marinade for at least 30 minutes (or up to 1 day) before braai-ing. Hi tried the Moroccan marinade today for prawns and was very fragrant and tasty! Reduced the oil quite a bit and added little bit of balsamic in stead and then pan-fried the prawns. Will try some of the other marinades soon.